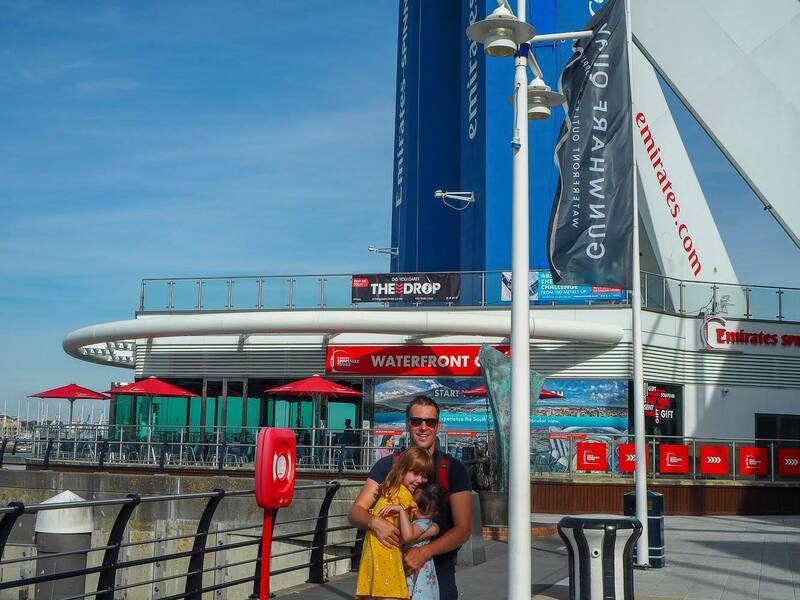 The Spinnaker Tower…The Drop And A Family Day Out! 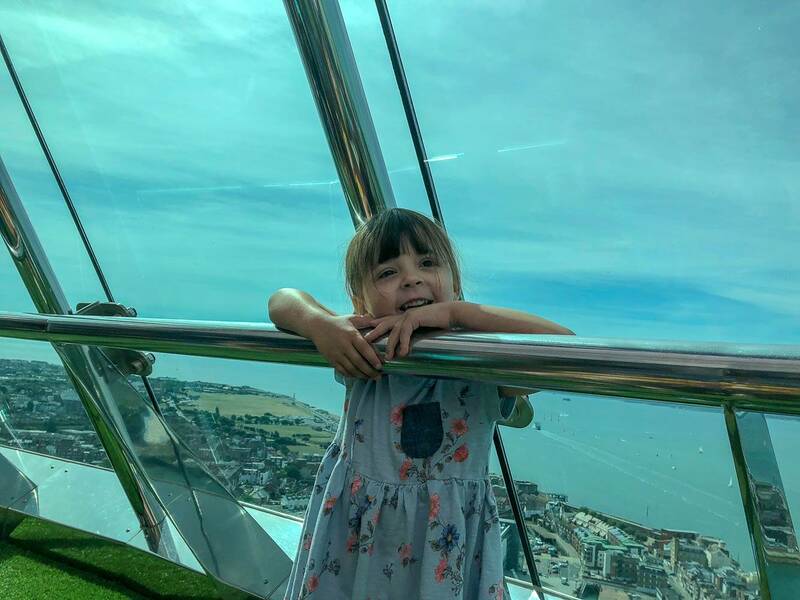 A couple of month ago my cousin and I went to The Spinnaker Tower and climbed to the top. We had a brilliant time and I knew it was something that we would also enjoy as a family. 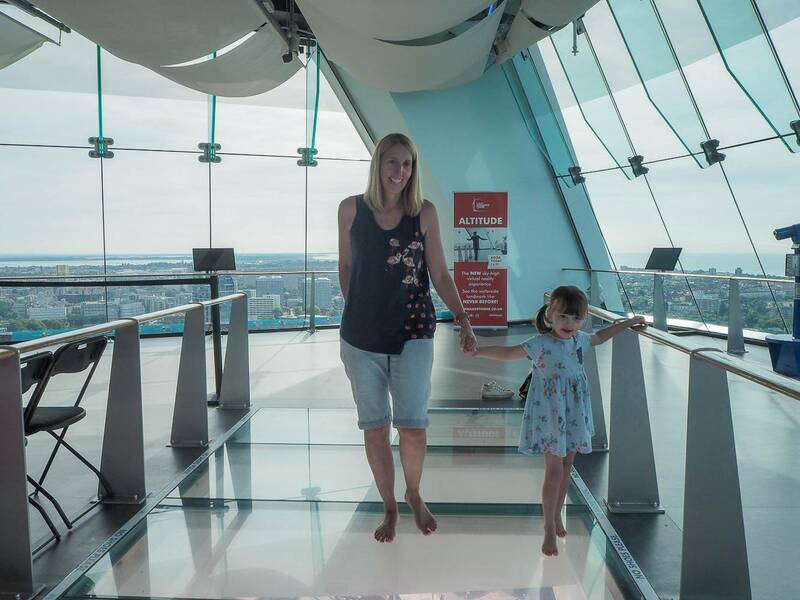 This year The Spinnaker Tower have introduced The Drop and they invited me along to have ago. I’m a bit of an adrenaline fan and quickly said yes. 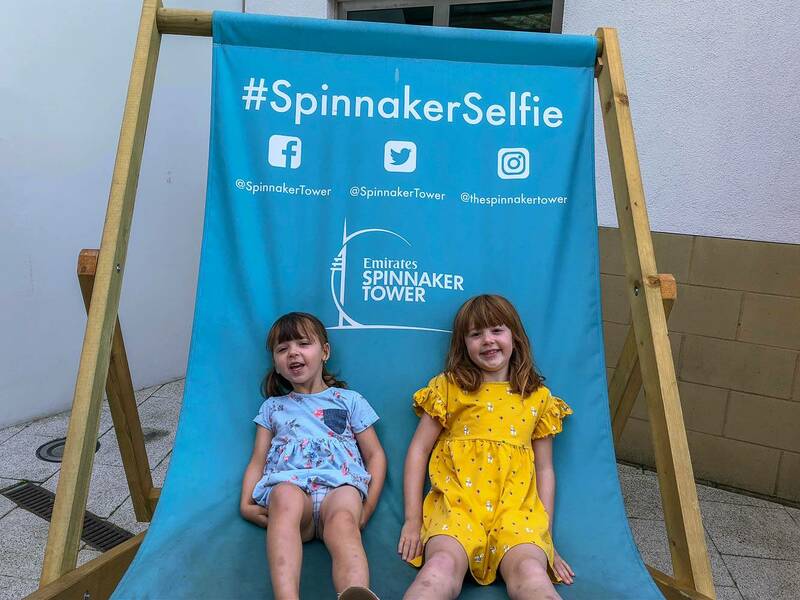 I also thought it would be a great time for Andy and the girls to come along and enjoy The Spinnaker Tower too. 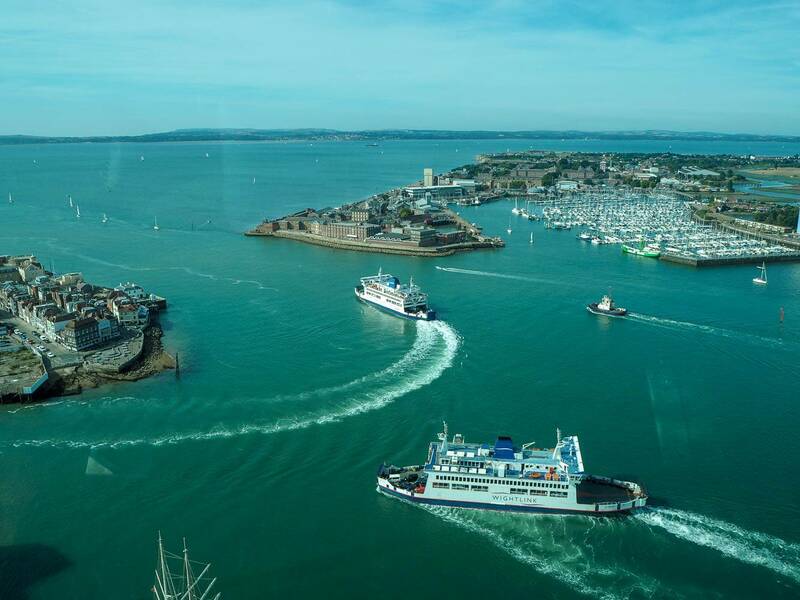 The Spinnaker Tower is in Portsmouth, Gunswharf and the views from The Spinnaker Tower are amazing. As we were approaching it in the car, the girls couldn’t believe we were going up it and also that their crazy mum was going to drop off it. 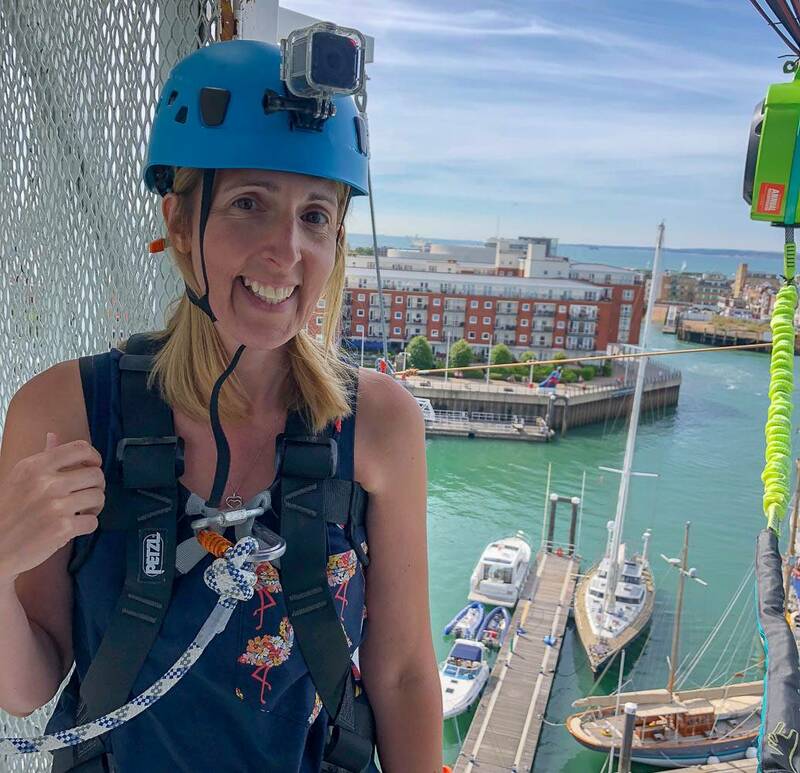 When we arrived it is an amazing sight right in the heart of Gunwharf and we could see where I was going to drop from, which actually wasn’t as high as I thought it was going to be. 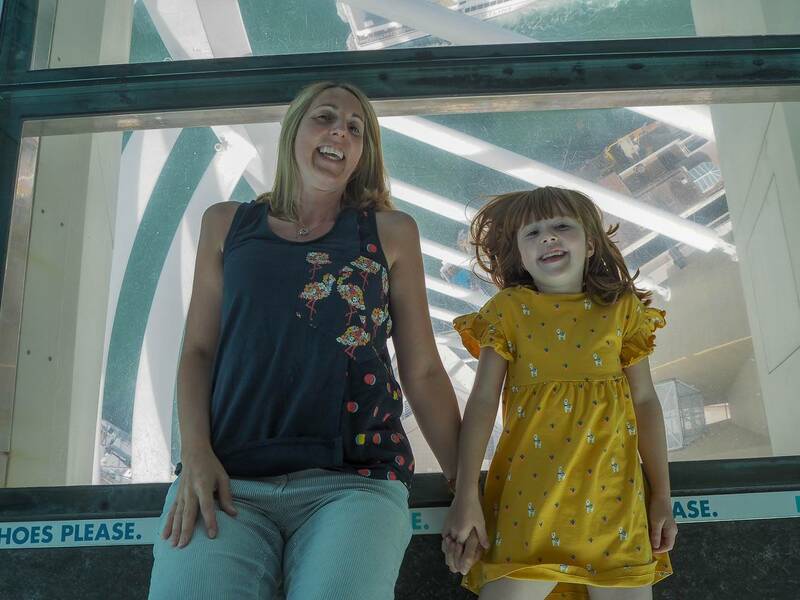 Just outside the entrance to The Spinnaker Tower is a tent where you go to get your helmet on. 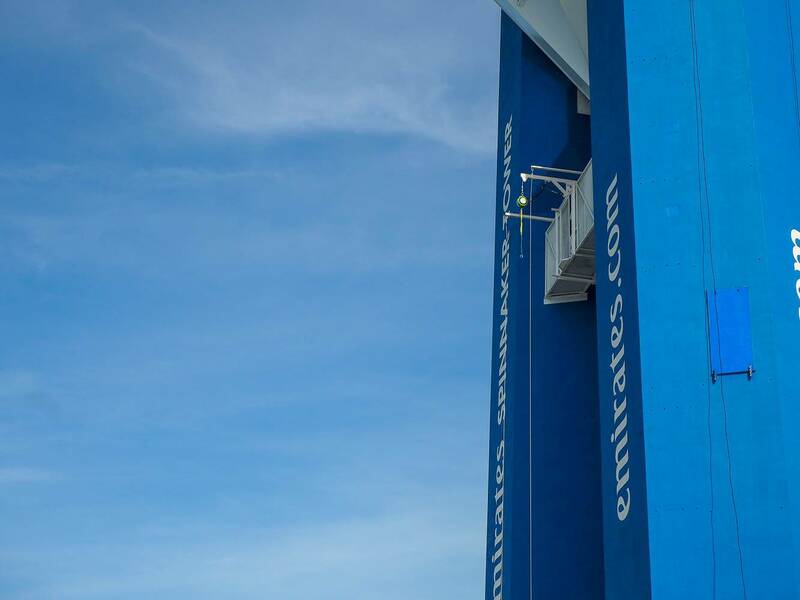 The instructor then takes you around the back of the tower and up some steps to a platform underneath the tower. Here we put on our harness with the help of the instructor. It was then time to climb the tower. 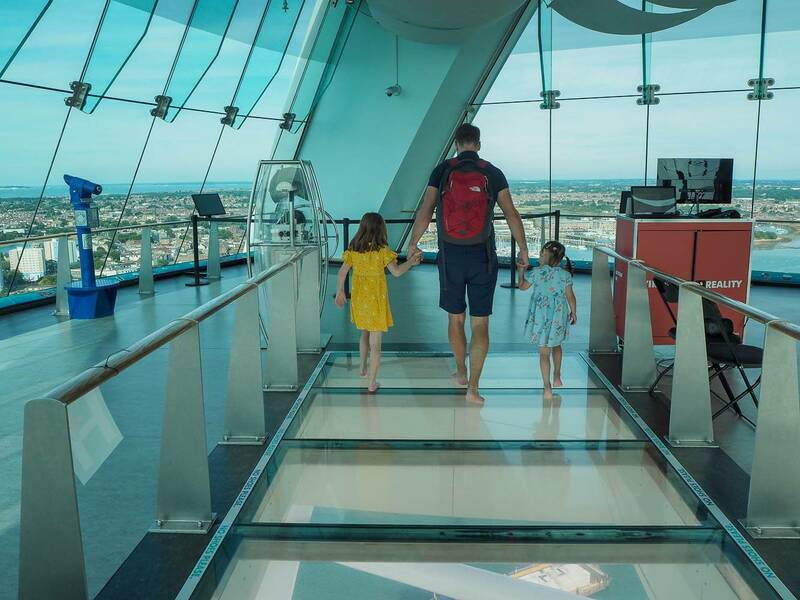 To get to The Drop you go inside the structure of the tower and climb up a lot of steps, until you reach a door which takes you out onto the walkway to the drop. You are then attached to a secure wire before you walk out and towards another instructor who is by the drop. He then explained to me what I needed to do. Once I was ready he unattached me from the secure wire and held on me, until I was ready to make the step! Making the step is the worst part. 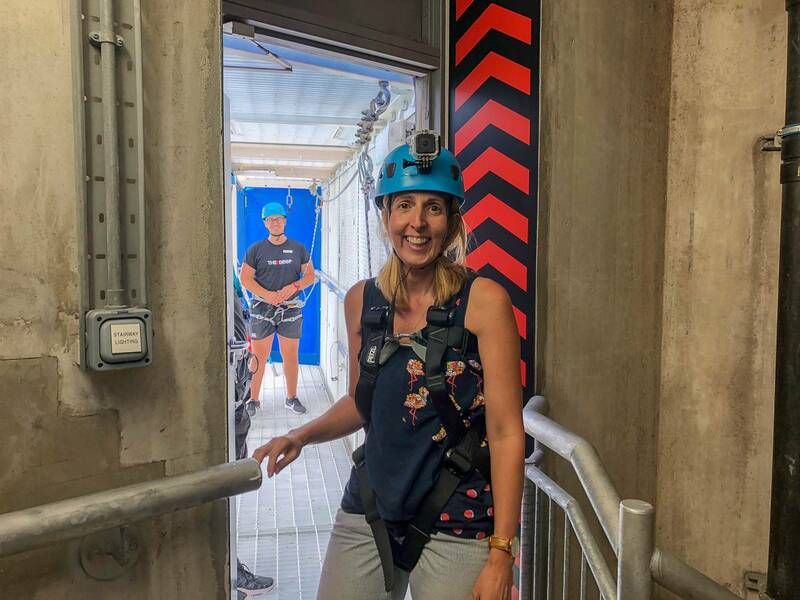 As you literally have to step out into the air and at this point you can’t feel that your harness has got you. Once you make that step, you then drop and of course you can immediately feel the harness holding you. It was an incredible feeling and whilst it is over really quickly, you get such a rush from doing it. I could see Andy and the girls cheering me on and I would’ve happily done it all over again! 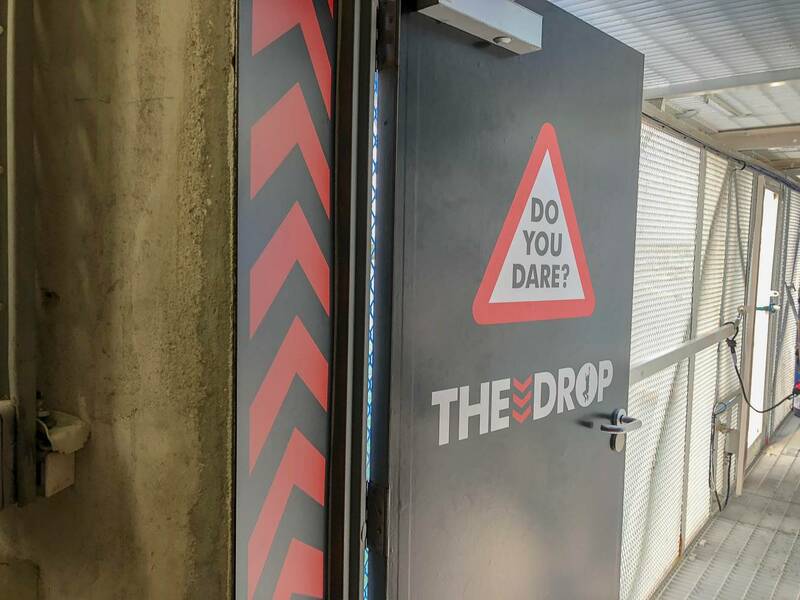 I wore a GoPro whilst doing The Drop and you can see my video of me doing it below. With The Drop done, we all headed into the tower. 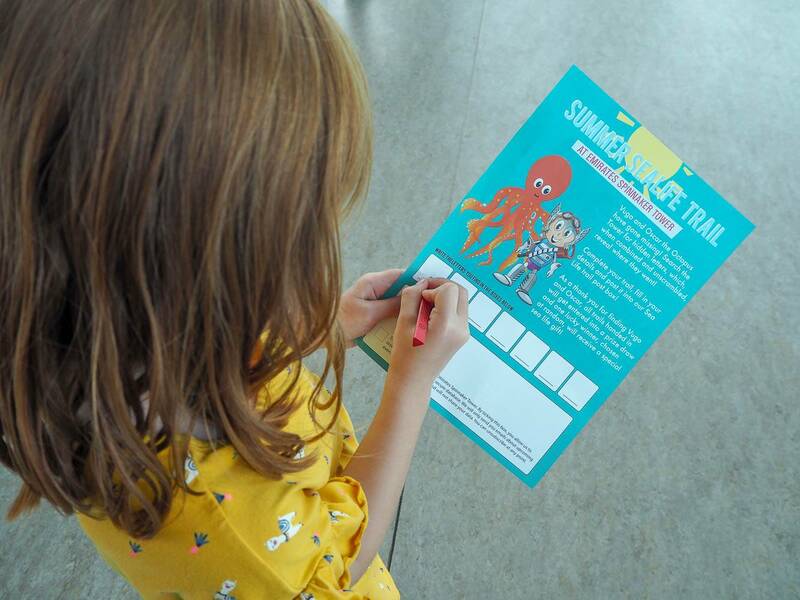 During the holidays they have an activity pack for children and all around the tower are letters you need to find and complete on the sheet to reveal a word. My girls love anything like this and couldn’t wait to get started. 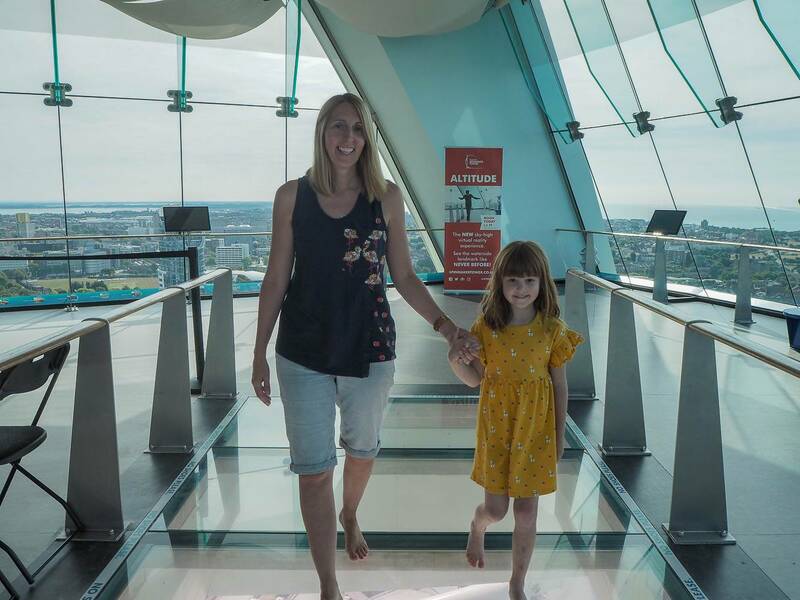 On the first level they have a glass floor and Holly couldn’t wait to take her shoes off and walk across it. Alice was a little unsure at first and just watched us. But it wasn’t long until Alice had plucked up courage to walk across it and then I couldn’t get her off it. 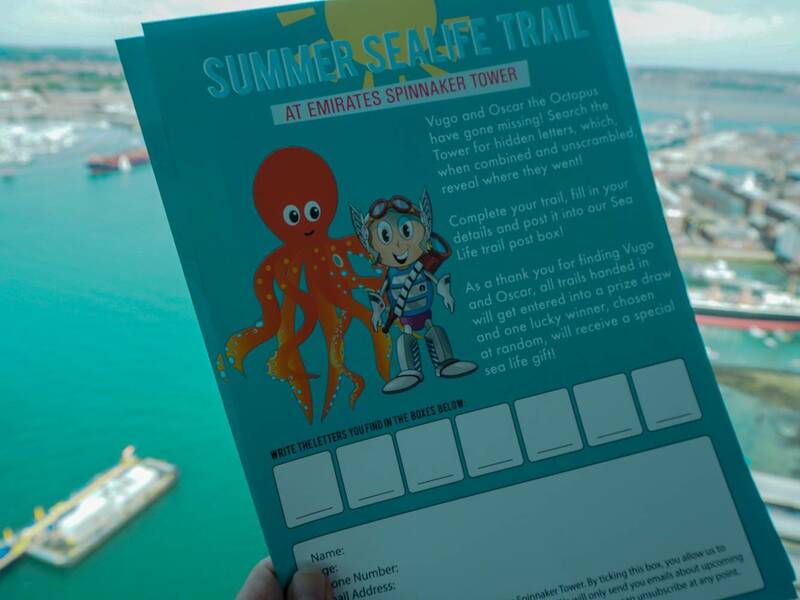 Andy doesn’t have a head for heights, but he was ok going up The Spinnaker Tower because it was all enclosed. He did finally decide to walk across the glass floor and the girls helped him! The views were amazing and we had picked a good day for it. The girls loved watching the ferries coming in and out of the harbour. Along the way the girls were spotting the letters and filling in the activity form. 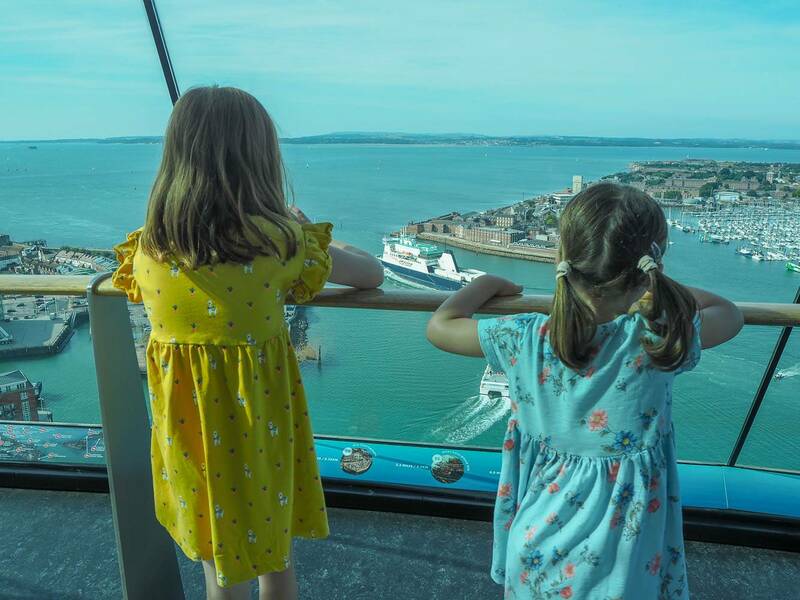 We headed to the top of the tower where they have deckchairs for you sit down and enjoy the views. 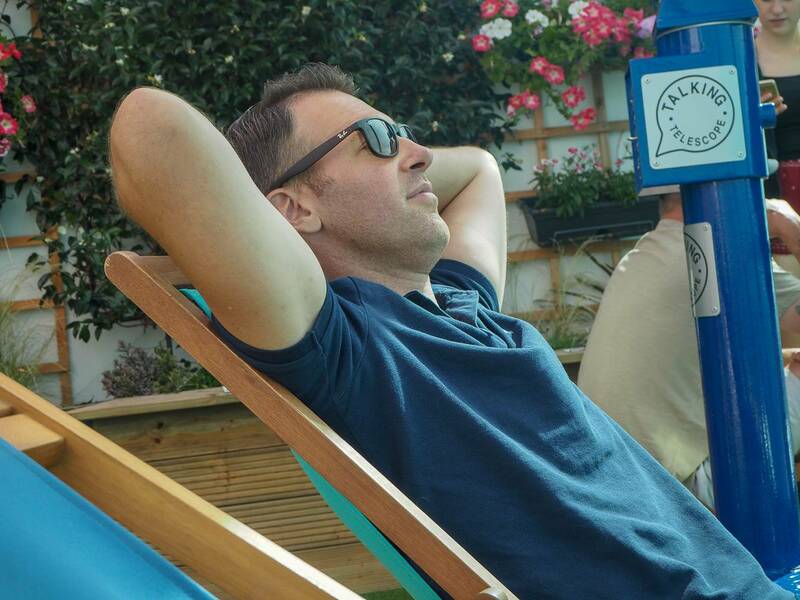 I think Andy enjoyed it a bit too much! The girls loved it and didn’t want to leave. 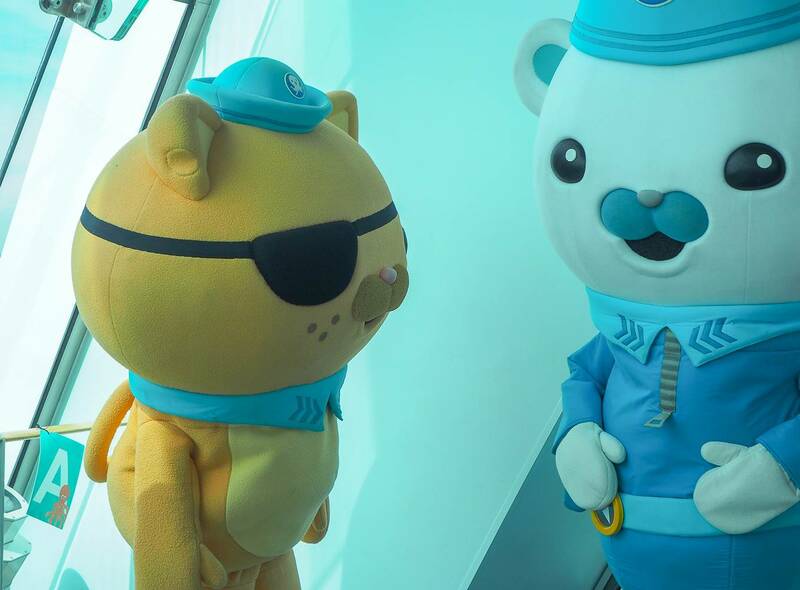 We happened to be there on a day that they had an Octonauts greet and meet going on and we spotted the Octonuats as we came back down the tower. 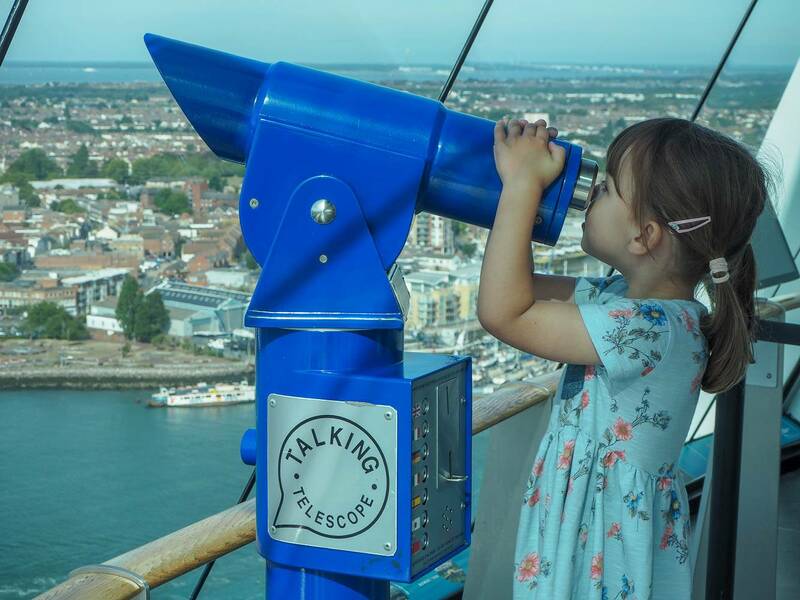 You can find out more about a trip to The Spinnaker Tower here. The girls and Andy enjoyed coming with me this time and I know that it is somewhere we would visit again. 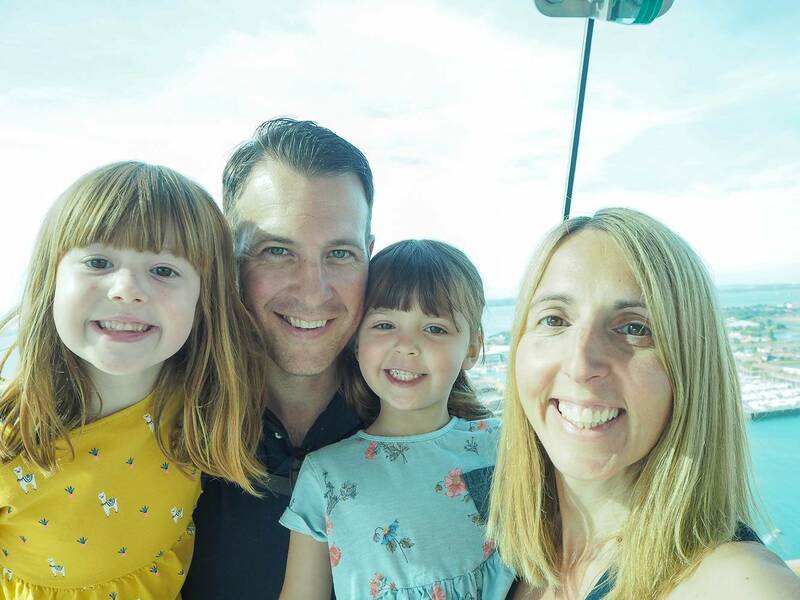 Disclosure: We were kindly invited to The Spinnaker Tower in return for an honest review. All views, photos and opinions are my own. I would love doing The Drop for sure. Sounds like it was great fun. Bet my kids would this. Oh wow fair play to you. I’m not good with heights and I’m not sure I’d be brave enough to do the drop. But I wouldn’t mind seeing the views from the drop.